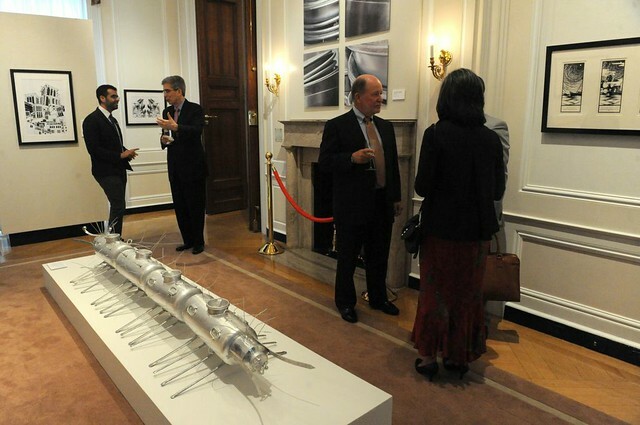 For the first time ever, contemporary art and artists of the United Arab Emirates (UAE) will tour the United States, beginning in Washington, D.C.
â€œPast Forward: Contemporary Art from the Emiratesâ€ showcases all seven emirates of UAE, features more than 25 Emirati artists, and spans three generations of artists. This past Wednesday, I had the pleasure and humbling experience of attending the unveiling of Past Forward. Before I arrived at the Meridian International Center in Adams Morgan, it hadnâ€™t hit me that I would have the privilege of witnessing a groundbreaking moment in time. 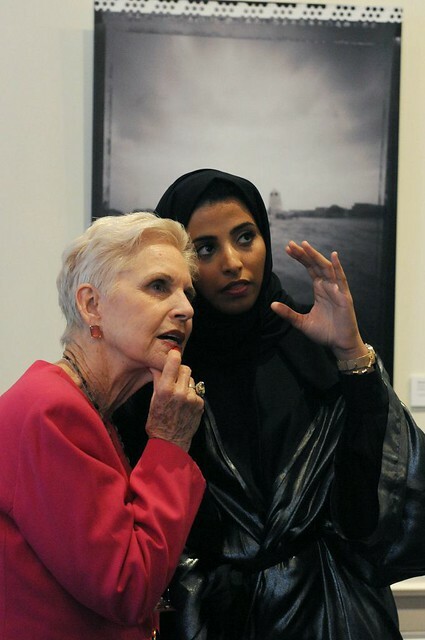 The Meridian International Center and the Embassy of the United Arab of Emirates partnered together for the exhibit to share the UAEâ€™s compelling narrative and rich cultural heritage through art to help Americans find common ground, build lasting relationships, and foster respect. 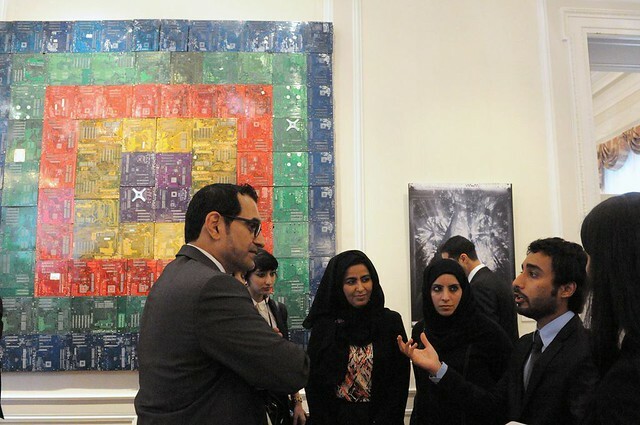 All seven Emirates are showcased in the collection. Three of the 25 featured artists were in attendance. 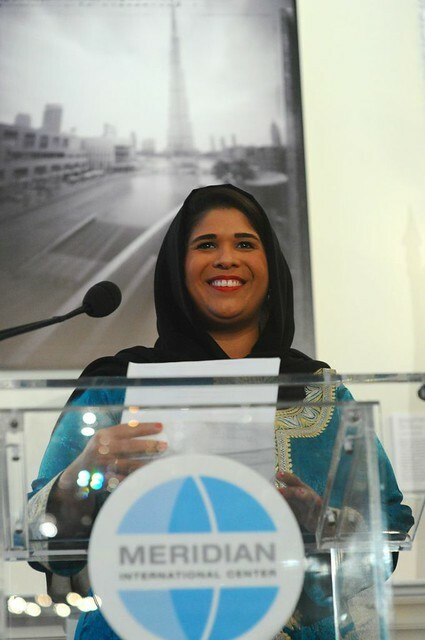 One artist who spoke wanted everyone to know that the purpose of her art is to tell a story of her country. 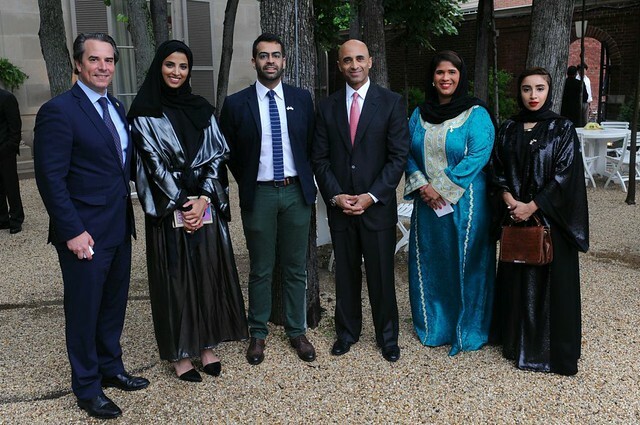 Several Emirati artists whose works are featured in Past Forward are currently visiting the U.S., conducting art workshops for students in D.C. area schools. I was blown away by the beauty in the artwork and mesmerized by the subjects. I definitely recommend visiting the exhibit this summer. For more information and how to visit the Past Forward exhibit in Washington, D.C., visit the website and follow the hashtag #PastForward.